Are you looking for another way to use up the bounty from your recent apple picking adventure? One great idea is to make dried apples? They are a simple and delicious, all-natural snack. Dried apples can be made in the oven on low heat or in a food dehydrator. Because gadgets are so much fun, I use the dehydrator method. My husband bought me a Nesco food dehydrator for my birthday several years ago and even though it sits in a closet for a good amount of the year, when I do use it, I'm so glad I have it. Besides dried apples, I've used it to make fruit leathers, dried herbs, and "sun dried" tomatoes. In the future I plan on posting recipes for all of the above, but today here's a very simple recipe for dried apples. apples - I prefer tart apples such as Macs or Cortlands, but sweet apples work just as well. 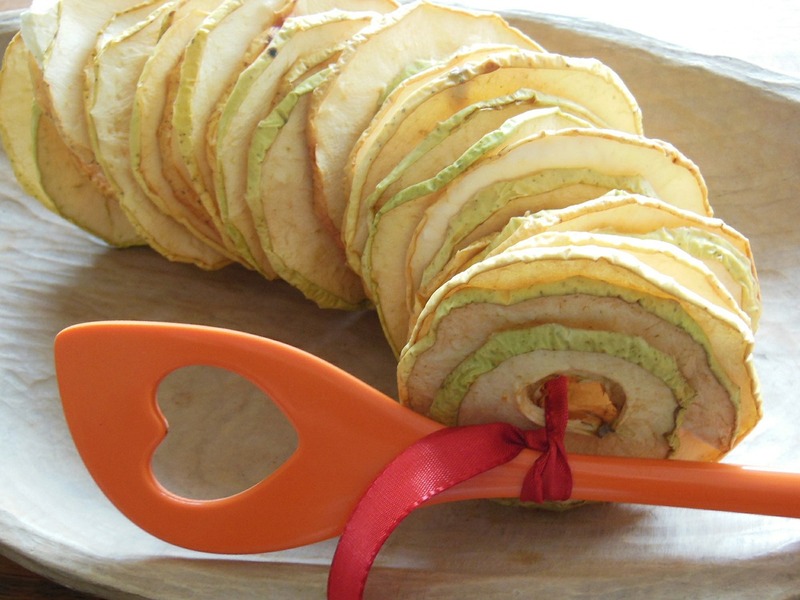 Cut apples into wedges or rings about one quarter inch thick. You may choose between peeling your apples or leaving the skin on. Place fruit on food dehydrator trays. If using cinnamon, sprinkle lightly over the apples. Turn on machine and check after a few hours. If the apples are not sufficiently dry, replace the cover and dry for another hour. Check again. 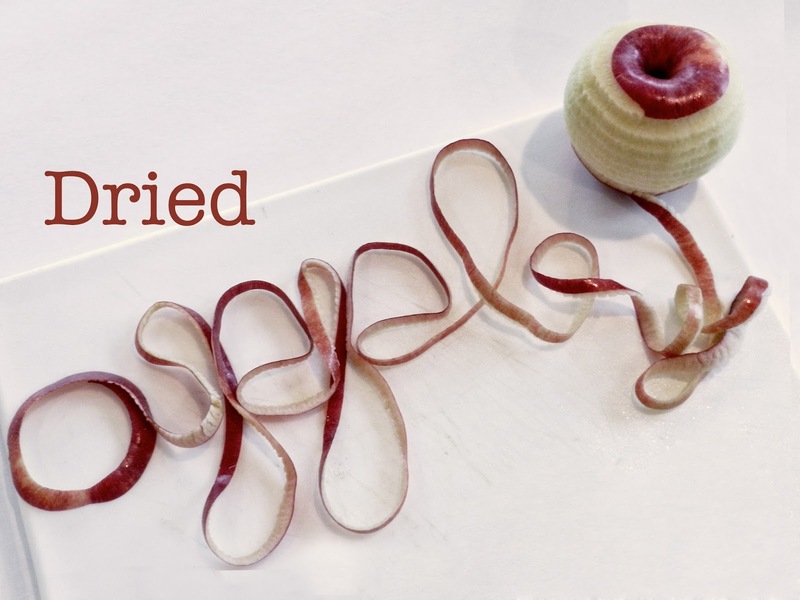 When apples are dry but bendable, remove them and place them in a sealed container. Even if all the apples are not at exactly the same stage, putting them in a closed container will "proof" them, getting them all to the same consistency. If you're unsure, check the apples the next day to make sure they are dry enough. Apples can be dried for even more time if you prefer a chip. These are also delicious. When dried properly, the apples will keep for months in a sealed glass or plastic container. No need to refrigerate. Here's my food dehydrator. Like all dehydrators, it's a little bulky, so I keep it in a closet when I'm not using it. My dehydrator from Klem's cost around $40, but it can also be purchased on Amazon for a similar price.